A GOOD news for travel lovers! Riviera Nayarit region which has been a favorite tourism spot for the tourists since long, is going to extend itself by adding multiple resorts. You can find more details about the news below. 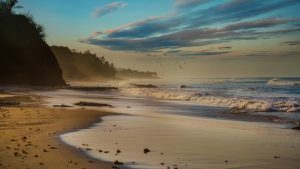 The Riviera Nayarit region of Mexico has been called one of the fasing destinations in North America, and the local government has announced plans to open at least 10 resorts in the area. 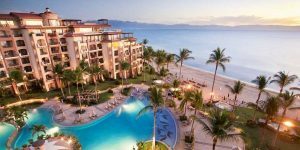 According to PasilloTuristico.com, the Mexican Pacific destination will be adding 140 Grand Sirenis Matlali suites, Iberostar will debut 300 rooms in Litibu and Marival Resorts will be inaugurating its third Marival Armony Punta de Mita property with more than 260 rooms. Convention and Visitors Bureau of the Riviera Nayarit public relations manager Richard Zarkin revealed the old La Tranquila Resort of the Conrad Hotels & Resorts chain will now be called Conrad Playa Mita. In addition, Four Seasons Resort Punta Mita will have completed the four-year renovations on the facility. One of the reasons the Mexican destination continues to grow is thanks to its growing demand among travelers. The arrival of Copa Airlines has signified a boom in international arrivals from Central and South America; with the continued success of the route, Zarkin said the service could increase until the carrier operates daily. Rosewood Hotels & Resorts will inaugurate Rosewood Mandarina with 130 rooms, suites and villas by 2020. 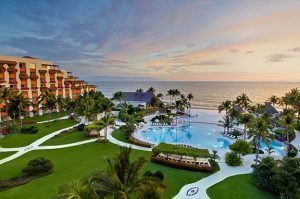 The area will also welcome the Mandarina Polo and Equestrian, the Dreams Punta de Mita Resort & Spa, Secrets Punta de Mita Resort & Spa and the Whispers of the Heart hotel, a member of the Auberge Resorts Collection. The luxury master-planned development of Costa Canuva is expected to be ready within two years, bringing five additional resorts including the first Fairmont hotel in the region, plus a golf course designed by Lorena Ochoa and Greg Norman. Officials announced the markets that generated the highest demand in the Riviera Nayarit were the United States, Canada and the domestic market of Mexico. As for the fastest growing markets in 2018, the United Kingdom, Colombia, Argentina, Spain and Brazil topped the list.